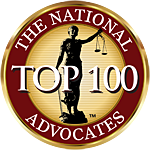 Rhode Island Personal Injury Attorney, David Slepkow 401-437-1100 has posted hundreds of articles and posts concerning Personal injury Law in Rhode Island. David is an experienced and aggressive RI Lawyer who will help you get the settlement you deserve. He never charges any fee unless successful. David was recently sworn in as a member of the United States Supreme Court Bar. 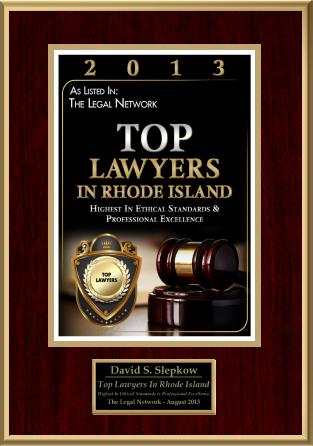 David Slepkow is also a member of the Rhode Island and Massachusetts Bar as well as the Bar for the Federal court first Circuit District of Rhode Island. When you call David you will not be pawned off to his legal assistant or a paralegal. He will always take your calls and give you complete answers and keep you informed about your case. David is a lawyer at Slepkow Slepkow & Associates which was established in 1932. SS& A has a long history of zealous representation of clients throughout Rhode Island. 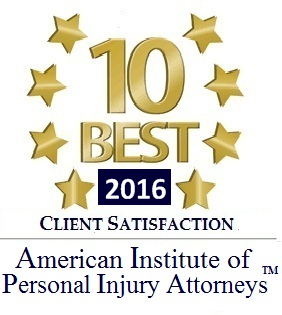 David has a superb rating by avvo, a recognized leader in legal information.